Offering you a complete choice of products which include heat resistant steel castings. Manufacturer, Supplier, Distributor, Trader and Exporter of Heat Resistant Steel Castings in Coimbatore, Tamil Nadu, Karnataka, Andhra Pradesh, Kerala, India, North India . 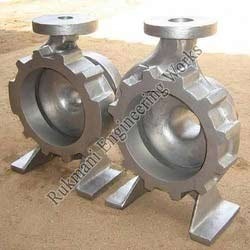 We are the leading Manufacturers of our products like Heat Resistant Steel Castings in Tamilnadu at Coimbatore. Looking for Heat Resistant Steel Castings ?